I am so excited to share the fabulous Manuka Honey products available from Pacific Resources International (PRI) with everyone that I know. I did not realize all of the fabulous benefits that Manuka Honey provides and I am seriously loving them all. We all know that it is important to maintain a healthy digestive system and Manuka Honey is the perfect supplement to do just that… and more. If you have issues with bloating, constipation or suffer from excessive gas…. Manuka Honey is perfect for you. Not only is Manuka Honey a powerful antibacterial agent but it also contains 15 vitamins and minerals that are essential for the body such as: Amino acids, B vitamins (B6, thiamin, niacin, riboflavin, pantothenic acid), Calcium, Copper, Iron, Magnesium, Manganese, Phosphorus, Potassium, Sodium, and Zinc. These vitamins and minerals feed your body the nutrients it needs to maintain a regulated digestive tract and boost metabolism. Taking Manuka Honey to aid in digestion is super easy to do and it really works because Manuka Honey is the only honey that is heat tolerant, meaning it can withstand your body temperature and stomach acids that would normally kill all the antibacterial properties in the honey. Taking a teaspoon of Manuka honey 30 minutes before every meal will help coat your stomach and prepare it for food by settling excess gas. You can also add Manuka Honey directly to minor cuts or burns as it has amazing anti-bacterial agents that aid in the healing process. Check out all of the amazing Manuka Honey products available from Pacific Resources International & see why everyone should give Manuka Honey a try. Plus… it is delicious! 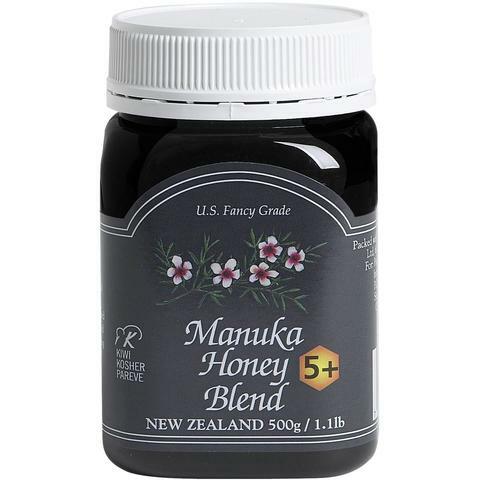 PRI’s Manuka Honey Blend 5+ is a delicious blend of Manuka honey with New Zealand Multiflora Honey to bring you a tasty blend with a rich floral flavor. This is PRI’s best value Manuka Honey which provides a very cost effective way to add the wonderful benefits of Manuka to your daily regime. This can be taken daily for a delicious way to help maintain your good health. Manuka Honey is the only honey found so far that exhibits non-peroxide activity. This is thought to be due to Methylglyoxal, a unique compound found within Manuka Honey. This makes the honey a powerful digestive aid, assisting with allergies and immune defense. It is a potent anti-bacterial agent when used topically for minor wounds and burns. It is also heat tolerant, enabling it to reach your digestive system without losing any of its beneficial properties. Pacific Resources sources honey directly from New Zealand bee keepers, who take pride in producing high-quality products. PRI’s Manuka honey is collected with care from native Manuka trees in New Zealand’s remote, pollution-free forests to produce the highest quality Manuka honey. Special techniques have been used to ensure that this Manuka Honey reaches you in optimum condition, just as nature intended. PRI’s honey is cool processed which means that the honey is filtered to extract bee particles or bits of honey comb that have fallen in the honey. The honey is 100% raw. 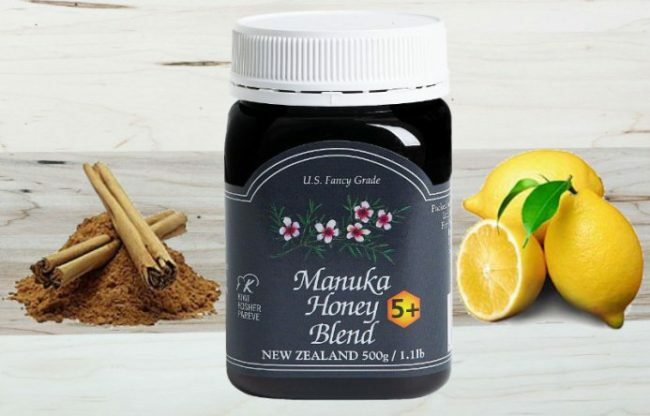 Their PRI Manuka Honey Blend 5+ is cool processed (raw) and independently tested so it is guaranteed to have a MG (methylglyoxal) rating of at least 30mg/kg or greater. Simply take 2-3 teaspoonful’s 3 times a day. Best if taken 30 minutes before every meal. Remember that the consumption of honey is not suitable for children under the age of one. Also all of PRI’s honey is certified Kosher and is 100% Raw Honey. PRI’s Manuka Honey Sticks are perfect for the busy lives we live today. 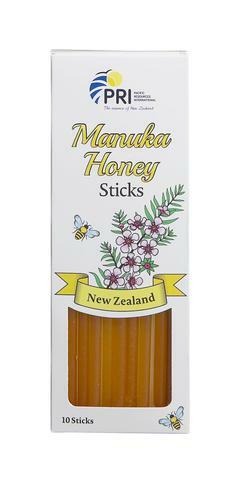 With these honey sticks you can take your daily dose of Manuka with you anywhere and enjoy it direct from the stick to give your immune system that extra boost during the day. I also love adding it to my hot tea and you can also add to your coffee, your morning yogurt, granola, oatmeal and more! This is also an ideal treat for the kiddos and is perfect to add in their lunch boxes. This is a convenient and delicious way to receive your daily dose of Manuka Honey from New Zealand. 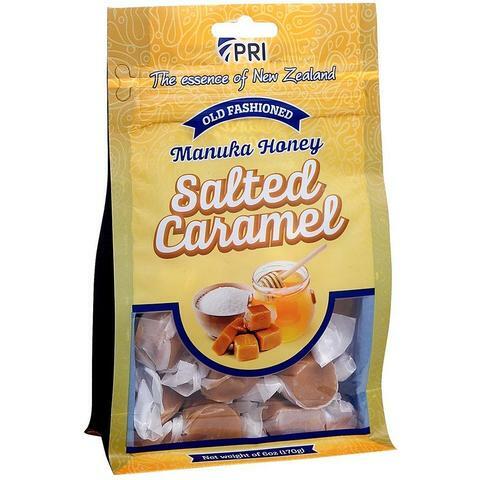 PRI’s mouth watering Salted Manuka Honey Caramels are seriously delicious and the perfect anytime treat. These all natural soft caramels are made with real butter, pure vanilla, blended with genuine Manuka Honey from New Zealand and Organic Flaky Sea Salt to create the ideal sweet treat. I just love these delicious old fashioned chewy caramels plus I love that they contain all of the benefits of Manuka Honey… which makes these a better spin on the classic treat. The ingredients are simple and all natural. Each caramel contains Organic Brown Rice Syrup, Sweetened Condensed Whole Milk (Milk, Sugar), Organic Cane Sugar, Butter, Sea Salt, Manuka Honey, Molasses, Natural Flavor and Sunflower Lecithin. The end result…. a delicious chewy treat! I love, love, love these. 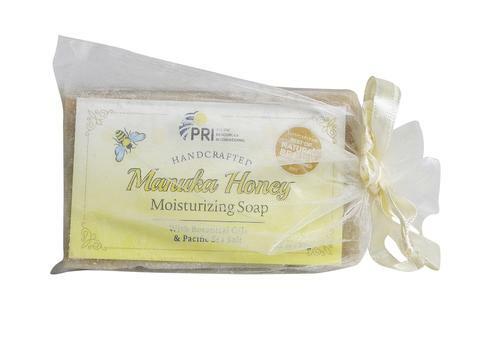 PRI’s Manuka Honey and New Zealand Sea Salt Soap is one of PRI’s newest additions. I love that this is a handcrafted, moisturizing soap that brings together the healing power of Manuka Honey, nourishing Botanical Oils and all natural New Zealand solar dried sea salt to bring out the best in your skin. This leaves my skin feeling amazingly soft and wonderful after using it and it smells really good too which is a plus for me. This is a nice 3.2oz bar and is also a Best of Natural Beauty Award Winner for 2017! PRI’s Award Winning Manuka Honey Lip Balm is the newest addition to PRI’s body care collection. The Manuka Honey Lip Balm is uniquely formulated with the healing power of Manuka Honey and Organic Ingredients to protect, restore and hydrate your lips. This fabulous lip balm feels amazing when applied and does an amazing job at keeping my lips hydrated and moisturized throughout the day. PRI’s Manuka Honey Lip Balm was the Best Of Natural Beauty Award Winner for 2018 and for seriously good reason. I love this product! There is also nothing but natural and organic ingredients in this fabulous product such as Sunflower Oil, Coconut Oil, Honey Flavor, Mixed Tocopherols, Rosemary Extract, Calendula Extract, and Manuka Honey. This is organic beauty at its finest. PRI’s Manuka Honey Hand Cream is a must have for anyone looking for a fabulous hand cream that works amazingly well. I am in my mid 40’s and my hands can get really dry looking and when they are dry… it can age the look of your skin. With this fabulous hand cream my hands are super soft and smooth and I swear it looks like years were taken off of my skin. Of all hand creams that I have tried, this is by far the best as far as results go. With PRI’s Manuka Honey Hand Cream you can soothe, beautify and protect your tireless hands anytime. Their hand creams are naturally made using a unique botanical formula and is sourced from the finest ingredients to help stimulate and improve the natural skin rejuvenation process. Their exclusive blend of Bamboo and Lotus extracts combined with the amazing benefits of premium-quality New Zealand Manuka Honey make this the perfect way to keep your hands feeling nourished and looking healthy. This fabulous hand cream is available in 3 refreshing scents….. Simply Manuka, Cool Citrus, and Coconut and Lime. I also have to note that your hands are moisturized and nourished all without a greasy feeling when applied. I love, love, love this product too and will be ordering more! PRI’s Natural Propolis Toothpaste combines two proven natural oral-hygiene products, Propolis and Tea Tree Oil in a unique family-favorite formulation with a mild liquorice flavor. This Toothpaste has a refreshing low-foaming action that helps maintain healthy teeth and gums and leaves teeth feeling clean and bright. This also contains Xylitol which helps to reduce cavities as well. This is an all natural toothpaste that works beautifully. So What Do You Think About PRI’s Manuka Honey Products? They Are Seriously Delicious PLUS Good For You So Check Pacific Resources International Today And Visit Them On Social Media As Well. Their Website Has An Amazing Blog Section With Some Delicious Recipes Using Manuka Honey As Well…. So Check Them Out Today. As Always Thank You For Visiting Deliciously Savvy Today & Leave Some Comment Love While You Are Here. I Love Reading Your Comments! I’ve tried Manuka honey and really liked it. I bet those salted caramels are great. I LOVE Honey! 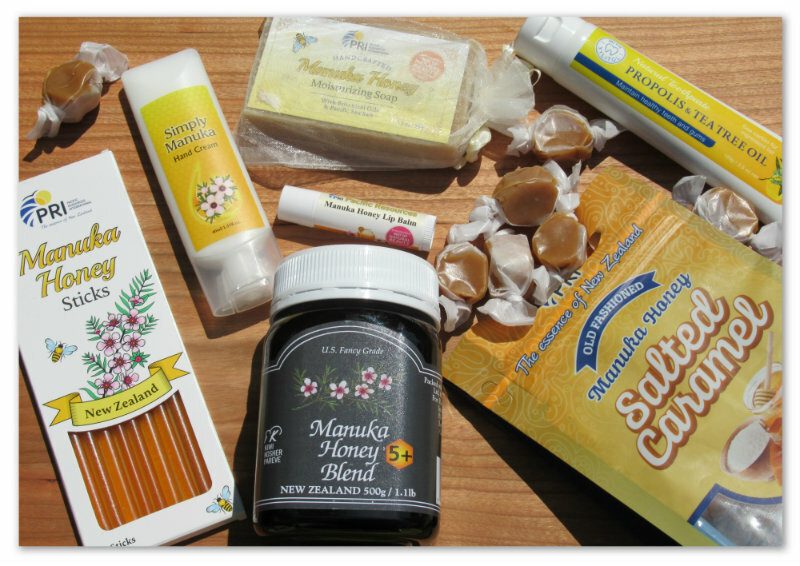 These products made with this Manuka Honey sound amazing! I will def. be getting me some! I know I want to try this great honey the most. Sounds like it has so many ways to help you with just a spoonful before each meal. Not to mention it would really taste so good on a hot buttered biscuit. Also I really want to try the soap I think it would help my skin. If Multiflora Honey truly works for digestive health then that is amazing and I’m going to start eating it every day instead of the regular honey I buy at the store. I absolutely love honey and I suffer from all of the problems digestive problems that it’s supposed to aid. Hopefully this honey will work. Thank you for the review. Honey is considered to have natural healing properties. Honey tastes great and is healthy for you. I’ve always been a fan of Cretan honey from the Sfakia region and from Thyme bees. However, I will give Manuka a try! i love honey so very much and i have never had manuka honey, it is the gold standard and i would love to try it! Love this review, and that Manuka Honey has more than just honey to eat! This is amazing! I love honey and I love the health benefits of it. I would love to try all of these products. I have heard that Manuka is such a high quality honey! There is a reason honey was referred as “Nectar of the Gods”. Its a pure gift. The uses are as long as my arm. The world is a better place because of our sweet honey. We all must do whatever we can to protect our remaining bees as the numbers are spiralling down. I can’t wait to get some honey sticks..they are my favorite. All of the products look interesting to me! I love natural products. These honey products sound yummy. We love honey, I didn’t realize how good it was for your digestive system along with all the other things. Omg I am so obsessed with honey! This giveaway is right up my alley and I always love trying new honey products, honey can be used in many different ways it is a very versatile product.